Check out this new item released today, April 15, 2019, on Shop Disney. The price is $89.95. Something there. 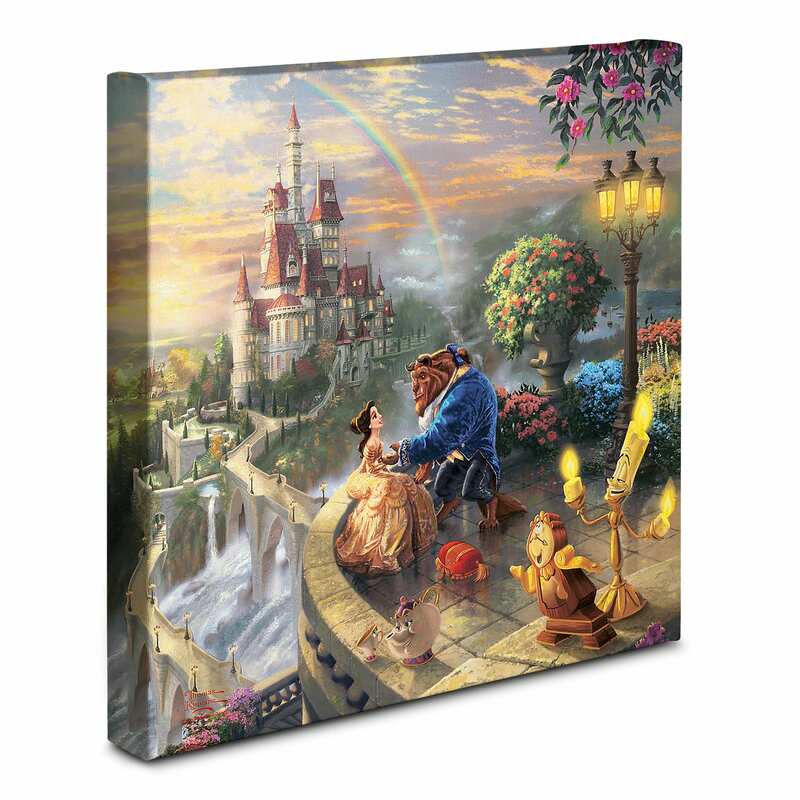 This Thomas Kinkade Gallery Wrapped Canvas captures the transforming moment when Belle and Beast discover their love for each other in the inimitable Kinkade ”Painter of Light” style. Featuring Thomas Kinkade Studios' best-loved images, these Gallery Wraps are perfect for any space. Each wrap is crafted with our premium canvas reproduction techniques and hand wrapped around a deep, hardwood stretcher bar. Hung as an ensemble or by itself, this frame-less presentation gives you a versatile way to display art in your home. 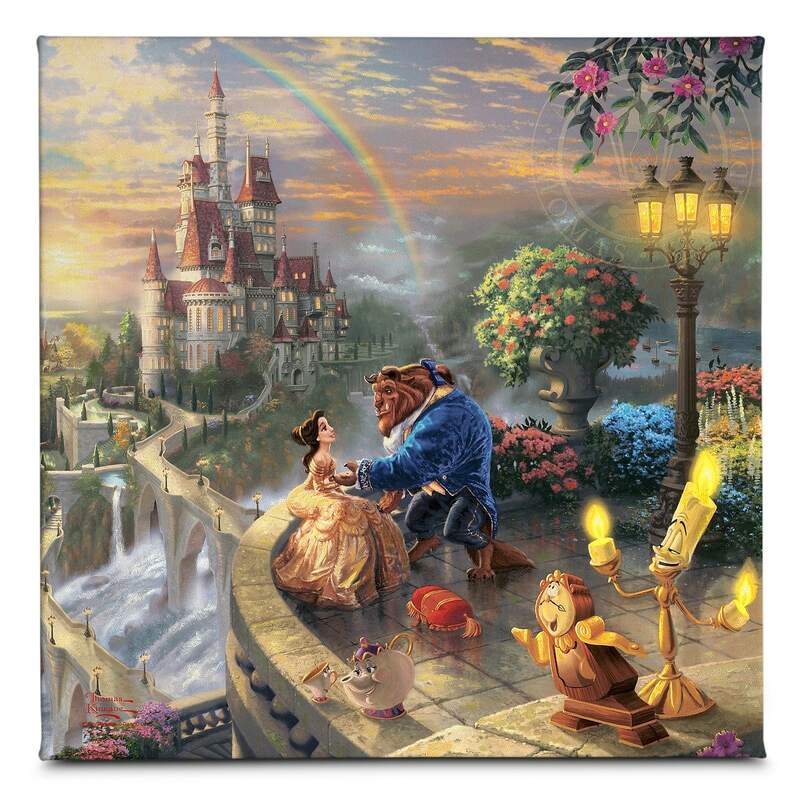 If you want to order ‘''Beauty and the Beast Falling in Love'' Gallery Wrapped Canvas by Thomas Kinkade’, you can do so by clicking this link which will take you right to the product.